4 Bedroom Detached House For Sale in Essex for Asking Price £875,000. 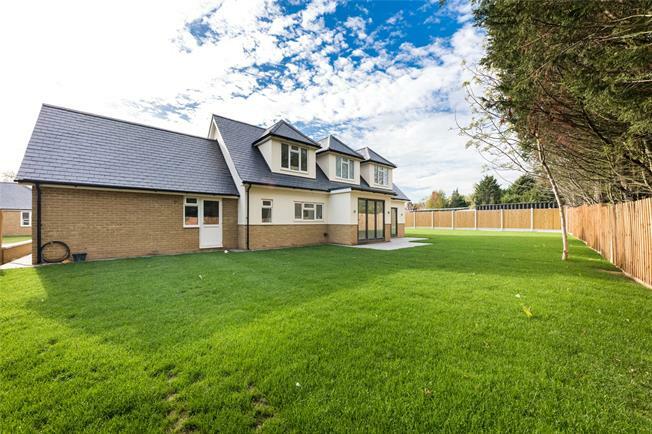 BRAND NEW 4 BEDROOM FAMILY HOME GATED DEVELOPMENT NEAR HUTTON/BILLERICAY NEAREST MAIN LINE SERVICES AT SHENFIELD (Liverpool Street 22 minutes) CALL US TO VIEW NOW! A superb individually designed 4 bedroom detached house situated on a gated development of exclusive homes and located on a private road. The property has well configured accommodation comprising: Entrance hallway with porcelain tiled floor, 2 receptions, kitchen/breakfast room with bi folding doors onto the garden, cloakroom, utility room with access to the double garage, 4 bedrooms the master benefitting from an en suite and a family bathroom. The outside landscaped garden is mainly laid to lawn with an extensive patio for outside entertaining. To the front the paved driveway is adjoined by an attractive garden. Hutton Grange is situated in a private road on the outskirts of Hutton, close to open countryside and well placed for access to Shenfield mainline station (Liverpool Street approx. 22 minutes).